5 Dec 2015 Washington, D.C.
On Thursday, U.S. Attorney General Loretta Lynch condemned the “incredibly disturbing rise of anti-Muslim rhetoric” in America and pledged to combat this trend and prosecute those responsible when possible. Protecting against violence falls squarely within federal law, but if she is suggesting penalizing speech that does not incite riots or threaten violence, then she would be violating the First Amendment. Now obviously this is a country that is based on free speech, but when it edges towards violence, when we see the potential for someone … lifting that mantle of anti-Muslim rhetoric, or, as we saw after 9/11, violence against individuals who may not even be Muslims but may be perceived to be Muslims … When we see that, we will take action…. Not all speech is protected. A person who lies under oath in a courtroom can be punished for committing perjury. A person who knowingly says something false against someone else and causes measurable harm to that person can be sued for slander. The Supreme Court has recognized at least nine such types of speech that are not protected by the Constitution, because such words were not considered protected speech by those who adopted the First Amendment, since they are not part of the “marketplace of ideas” and have little or no value to society. Inciting violence is not protected speech. But speech is unprotected as incitement only if it both (1) specifically advocates for the audience to commit immediate acts of violence, and (2) the speech has a reasonable likelihood of causing such a violent reaction. In other words, the speech must actually be able to cause an imminent riot. Threats of violence are also unprotected. Federal law criminalizes threatening to kill the president, vice president, members of Congress, or federal judges. But it must be a true threat of violence, not just someone expressing their disgust with their leaders, or even making appalling comments such as publicly wishing that some other person would assassinate those leaders. The speaker must be threatening to become the attacker. So sometimes true threats of violence can be prosecuted as crimes. Other times speech is not a crime, but is also not protected. One relevant example is fighting words. These are words directed to a specific person that are so extremely offensive that they would likely provoke the average person to retaliate against the speaker. But fighting words are not criminal; you cannot claim constitutional protection, but the government can’t put you in jail for them, either. It’s very hard to find speech that falls into one of those three unprotected categories (inciting imminent violence, true threats, and fighting words). Most offensive comments, even if angry and bigoted, are still protected by the First Amendment. In 1969, the Supreme Court upheld the free-speech right of the Ku Klux Klan to advocate white supremacy. In 1977, the Supreme Court upheld the right of Neo-Nazis to march with swastikas and distribute anti-Semitic literature. In 1989, the Court upheld the right to burn the American flag. And in 2011, the Court upheld the right to picket Marine funerals with despicable messages celebrating the death of U.S. servicemen. Courts recognize that controversial or unpopular speech often requires more protection than popular speech, and the Supreme Court has made clear that the government and the courts cannot give a “heckler’s veto” to naysayers, by which they can shut down speech by angrily protesting against it. The only other way federal prosecutors could pursue those making anti-Muslim comments is if authorities discover those speakers are actually planning attacks. In such a case, the Justice Department is not criminalizing speech; instead they would go after the attempted violent acts or conspiracies to commit violent acts, both of which have always been illegal. Government can prosecute such wrongful acts, as opposed to pure speech. Lynch’s remarks were unscripted, and people are less precise when speaking off-the-cuff than when speaking from written text that has been carefully thought out. 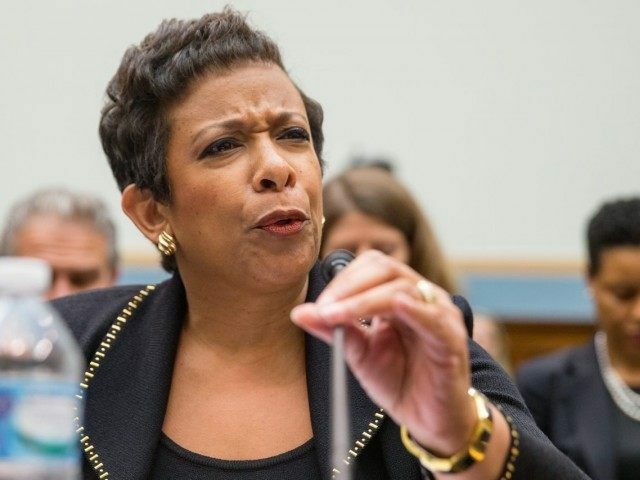 So it remains unclear whether she is promising that the Obama Justice Department will prosecute crimes carried out against Muslims, versus punishing Americans who exercise their First Amendment rights.